Situated on the beach of Kamari, built in the traditional Cycladic style architecture, is our family run Seaside Beach Hotel and Restaurant.
. All rooms consist of private bathroom or shower, direct telephone, air conditioning, satellite TV, fridge, hair dryer, safe deposit box, sea view or pool view, free internet access (wi-fi). Most rooms also have mini kitchenette. Seaside Hotel facilities include hall for buffet breakfast, pool, Jacuzzi, bar, fax, internet service, daily made service, tourist information, car/motorbike rental, boat excursions to the Volcano island and hot springs. At Seaside Hotel you can also enjoy the traditional homemade dishes in our beachside restaurant. Santorini is a popular destination for weddings and we would be delighted to accommodate your wedding reception on the outdoor terrace overlooking the Aegean Sea. 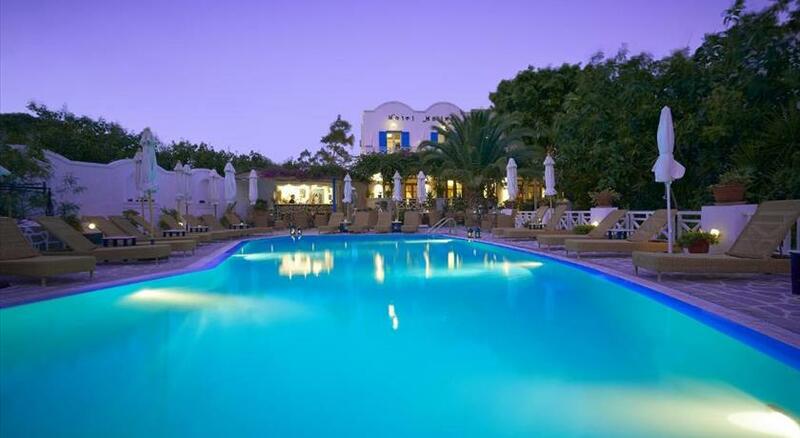 Just 10 metres from Kamari Beach , Sea Side Beach Hotel features an outdoor pool with hot tub , and a beachfront tavern. Built according to the local architecture, it offers air-conditioned accommodation with free Wi-Fi. 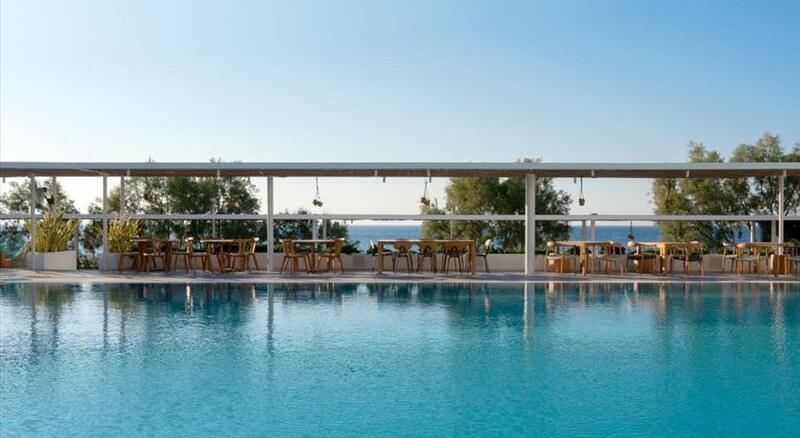 All rooms and studios open to a furnished balcony or shared terrace with side Aegean Sea or pool views. Each includes a flat-screen TV with satellite channels and fridge. Some accommodation types are split-level and self-catered. Guests at Sea Side can start their day with an American breakfast in buffet style. Enjoying sea view, the on-site tavern prepares Greek dishes and fish. A bar and snack bar are also available. Staff can arrange car rental to explore the lively Fira at 8 km. Guests will find a bus stop at 100 metres from the property. Santorini International Airport is at 4 km and Athinios Port is 12 km away.